Summary (from Goodreads): All her life, Barrie Watson has been a virtual prisoner in the house where she lives with her shut-in mother. When her mother dies, Barrie promises to put some mileage on her stiletto heels. But she finds a new kind of prison at her aunt’s South Carolina plantation instead--a prison guarded by an ancient spirit who long ago cursed one of the three founding families of Watson Island and gave the others magical gifts that became compulsions. My Summary: Barrie Watson has been living under her mother's thumb for her entire life. She didn't go to parties, didn't have many friends, and the only places she went while living in San Francisco where within walking distance of her home. Barrie was living in a prison, and her mother was the only one with the keys. Then Barrie's mother dies unexpectedly, leaving her with an ailing family friend. With nowhere left to turn, Barrie finds herself going back to the place her mother escaped all those years ago: Watson Island. She moves in with her aunt, comforting herself with the knowledge that she'll be off to art school in a year and it won't matter where she lives. But all is not as it seems on the island, and with the help of her "gift", Barrie is determined to discover all the secrets of the plantations and end the feud between the three founding families of Watson Island. My Thoughts: I had no idea what I was in for when I picked up Compulsion. I'm a huge fan of Gothic literature, and knowing that it was a YA got me all the more excited. I picked it up and started in the same day, and only looked up again a few hours later when I was finished. There's something about Martina Boone's writing and the way Barrie comes across that had me glued to the pages. I loved the Gothic atmosphere of the novel. And I also really liked the way Barrie and Eight's "gifts" added another layer to the story - especially to the romance element. I liked the way Boone wove together the more modern story line with the legend of the Fire Carrier. Barrie and Eight were also really likable characters - I'm not ashamed to admit I have a bit of a soft spot for Eight. And my heart broke for Mark (side note: why do bad things always happen to the best characters?). 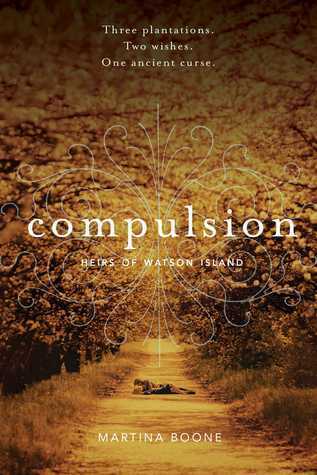 Compulsion was compelling and impossible to put down, and I can't wait to get my hands on the next installment in this series. Final Thoughts: I recommend this novel to anyone who enjoys Gothic literature, paranormal YA, and fantasy. Fans of The Lynburn Legacy by Sarah Rees Brennan should definitely check it out! Summary (from Goodreads): Full of rage and without a purpose, former pianist Nastya Kashnikov wants two things: to get through high school without anyone discovering her past and to make the boy who took everything from her pay. My Summary: Nastya and Josh are not the kind of people that have happy lives. Josh has lost every single person in his life in just a few short years; anyone who knows Josh knows that death follows him like a shadow. Nastya is a mystery. Nobody knows much about Nastya but this: she doesn't talk, and she dresses like every day is Halloween. Josh and Nastya have absolutely nothing in common, but life keeps throwing them together. As they get closer, they discover that maybe they aren't as broken as they thought. And maybe broken is okay when there's someone out there who can put you back together. My Thoughts: This book was like a punch to the gut. I picked this book up after seeing a few people add it to their TBR on my Goodreads feed, and I am so glad I did. This is a stunning novel about love and loss and what healing really means. I loved the characters. Josh and Nastya were so fleshed out, and every interaction between them was a joy to read. They were very real and very flawed and incredibly relatable and impossible to like but impossible to hate, too. I was up late into the night reading because I absolutely refused to put this book down without knowing what happened to Josh and Nastya and the rest of my favourite characters. This is not really a happy book, but it is one full of hope. This is a book about starting over and figuring out how to move forward and letting yourself get close to someone. The romance element was perfectly done. The writing was flawless. The story was slow-building and perfect in every way. Basically, I am in love with this book and I don't know how to talk more about it without giving anything away or resorting to unintelligible shrieks. I wish I could go back and read this book again for the first time - that's how good it is. 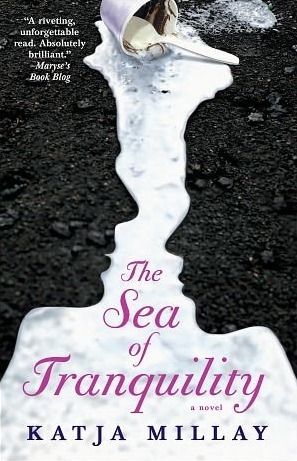 Final Thoughts: The Sea of Tranquility is my favourite YA novel of the year. I recommend it to anyone who enjoys contemporary YA and is looking for a story that really sticks with you. Summary (from Goodreads): Hannah and Zoe haven’t had much in their lives, but they've always had each other. So when Zoe tells Hannah she needs to get out of their down-and-out New Jersey town, they pile into Hannah’s beat-up old Le Mans and head west, putting everything—their deadbeat parents, their disappointing love lives, their inevitable enrollment at community college—behind them. My Summary: Zoe and Hannah have been best friends since third grade. They've seen each other's ups, downs, and shared every moment together. Hannah dreams of attending a college where her high IQ will be good for something, and Zoe wants to attend fashion design school in New York. Both girls know that there is absolutely no chance of either of them making it out of their backwards hick town, but as long as they have each other they know it won't be all bad. But as Zoe begins to lose touch with reality and Hannah's last shot at even community college is dashed, the girls decide that all there's left to do is get as far away from their old lives as possible. So they pack a few bags and drive off in Hannah's car with only one destination in mind: away. Along the way, Zoe schools Hannah on all things intangible; love, dreams, fun, and learning when to let go. My Thoughts: This was a quick read for me - four hours give or take - but it was a lot of emotion packed into a short amount of time. Zoe and Hannah have the kind of bond that only forms after knowing each other your entire lives, and it was a lot of fun getting to watch them experience life outside of their small town. It may have some elements of romance (Hannah's relationship with Danny) but I found that the strongest love in this novel was the love between Zoe and Hannah. The writing was very well done, but I found it a little difficult to connect to the characters at some points. All in all though, a very solid read that I would recommend to those who like contemporary YA. 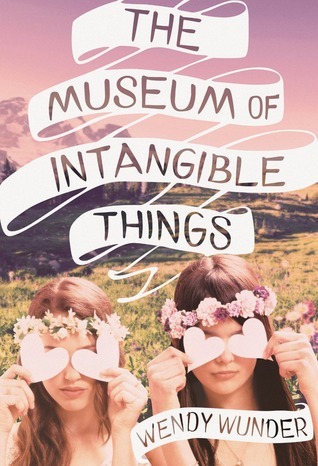 Final Thoughts: Check out The Museum of Intangible Things if you're looking for a contemporary romance and enjoy reading about road trips. Fans of Amy & Roger's Epic Detour and Two-Way Street will definitely enjoy this novel. Summary (from Goodreads): Anna O’Mally doesn’t believe in the five stages of grief. Her way of dealing with death equates to daily bouts of coffin yoga and fake-tattooing Patti Smith quotes onto her arms. 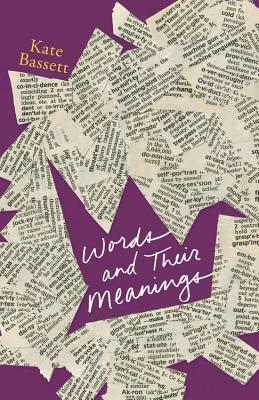 Once a talented writer, Anna no longer believes words matter, until shocking discoveries– in the form of origami cranes– force her to redefine family and love. My Summary: Anna was once a talented writer with a bright future ahead of her. With dozens of awards and publications under her belt, it once seemed like Anna was all set to pursue her dream career as an author. But that was before: before Joe died, taking with him everything good Anna had ever seen in the world and leaving behind secrets that suggested she barely knew him. With everything crumbling around her, Anna shuts down completely. My Thoughts: This novel was one of those rare contemporary reads that won't let you read it all in one go. There was so much emotion jam-packed into this book that I found myself unable to read more than fifty or so pages in one sitting. I think part of the beauty of the writing is that although Anna is pretending to be numb to the world (and to the reader), the reader can feel her emotions and her struggle to keep from breaking down completely. I loved the characters. Anna herself wasn't my favourite, although she was a great MC. Nat was probably my favourite of the bunch, but Mateo was a close runner-up. The writing flows in a way that I can't even attempt to describe. The closest thing I can think to compare it to is music. Every other line struck a chord. If you're a writer who has ever suffered a loss that affected your writing, Anna's thoughts will read like a diary entry. For me, it was the way the words all just fit. Final Thoughts: This was a powerful novel about love and grief and learning to let go. I recommend it to anyone who enjoys edgier contemporary literature and is not afraid of a good cry. Oh my goodness. Fans of this series need to get their hands on a copy of this last installment as soon as possible. Those who haven't read this series need to A) rethink their life choices, and B) get themselves all three books, because you WILL want to binge-read the entire trilogy as fast as humanly possible. After taking my advice and securing the trilogy for yourself, take a moment to feel the pain of all those who had to wait years between installments. I can't say much about this one without giving anything away, so I'll keep it brief: this novel jerked me around like nobody's business. The plot twisted and turned and yet it all fit together so well. Michelle Hodkin is an amazing writer, and I will forever be thankful to her for this amazing trilogy. Summary (from Goodreads): Marguerite Caine’s physicist parents are known for their radical scientific achievements. Their most astonishing invention: the Firebird, which allows users to jump into parallel universes, some vastly altered from our own. But when Marguerite’s father is murdered, the killer—her parent’s handsome and enigmatic assistant Paul—escapes into another dimension before the law can touch him. My Summary: Marguerite has seen impossible things. Her parents have bent the laws of time and space to their will, building a machine that will allow inter-dimensional travel. But that's nothing new. Marguerite grew up knowing the extent of her parents' genius. What she didn't know was what it would cost their family. After her father is killed and his killer escapes into the next dimension, Marguerite can only see one possible course of action: follow him. But is Paul really the one responsible for her father's death, or could there be someone else at fault? And is she willing to risk Paul's life to find out? My Thoughts: I'd seen so much about this one all over Goodreads that I knew I had to check it out eventually, and I'm so glad I did. It had me in its grip from start to finish. 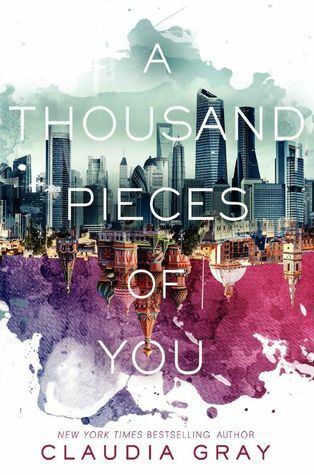 A Thousand Pieces of You was a roller coaster ride of a novel. 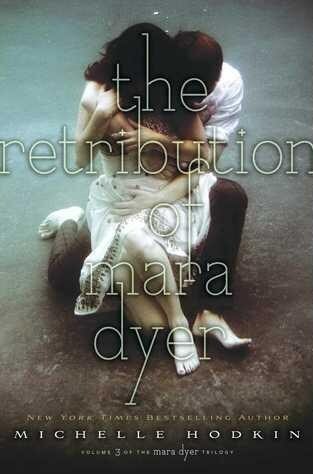 Marguerite was extremely easy to relate to, and the atmosphere of the novel hooked me from the very first page. Marguerite's artistic spirit and the lavish imagery of the descriptions painted a vivid picture of her world in my mind. The writing flowed beautifully and never lagged, making it feel like I'd only been reading for a few minutes when hours had passed. This novel managed to encompass a few genres, but it never once felt like it was too much of one thing. The mystery, romance, and sci-fi elements were all blended perfectly, combining to form a story that never felt like a chore to read. And I mean, come on. Look at that cover! Final Thoughts: I definitely recommend this novel to anyone who enjoys sci-fi, and anyone looking for a refreshing romance. It was without a doubt one of my favourites of this year so far. Summary (from Goodreads): Annith has watched her gifted sisters at the convent come and go, carrying out their dark dealings in the name of St. Mortain, patiently awaiting her own turn to serve Death. But her worst fears are realized when she discovers she is being groomed by the abbess as a Seeress, to be forever sequestered in the rock and stone womb of the convent. Feeling sorely betrayed, Annith decides to strike out on her own. My Summary: Annith has been training for years to become an assassin for St. Mortain but has still not received her call to serve. Her friends have come and gone, leaving her all alone in the halls of the convent. After overhearing a conversation she is shocked to discover that all her training has been for nothing - she is to become a Seeress, destined to spend her entire life inside the walls of the convent. Refusing to give up the future she wanted for herself, Annith decides to flee the convent and sets out to complete the work of St. Mortain. 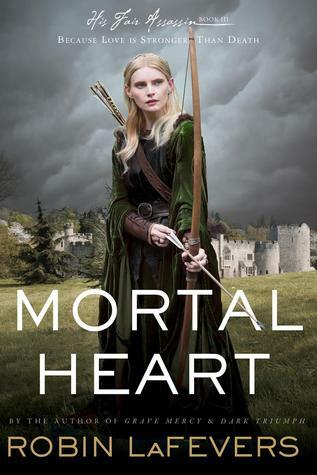 My Thoughts: I adored the first two books in this series, so I was eagerly awaiting the release of Mortal Heart. Robin LaFevers does not disappoint - Mortal Heart was everything I'd hoped for and more. Annith was an amazing character, and the return of some old favourites had me smiling throughout. As per usual, the writing was beautifully done. LaFevers definitely knows how to bend words to her will. I loved the twists and turns of the plot - it kept me hooked and reading well into the night. The romance element was very well done as well and had me hoping they'd get their happily ever after. I also LOVED the way everything pulled together in the end (and I'm being purposely vague so as to avoid spoilers, but if you've read it you know EXACTLY what I'm talking about). Final Thoughts: I recommend this novel to anyone who enjoys historical fiction, and I recommend the series to anyone looking for a fresh, unique read with some badass female characters. My Summary: Cady is the first born grandchild - the heir to the throne - in a family where money is everything and secrets lay just beneath the cracked marble surface. Every summer, Cady and her extended family congregate on a private island owned by their grandfather. Every summer, Cady spends the warm months lazing around with her cousins Mirren and Johnny, and Johnny's best friend Gat. Life is perfect in every way, because they are Sinclairs and they are beautiful and it was meant to be that way for them. Then, in the middle of their fifteenth summer on the island, Cady hits her head hard. She wakes up in the hospital with no memory of the days leading up to the accident, or what could have led her to the beach that night. It is decided that because of her splitting migraines - a repercussion of the fall - she won't be returning to the island next summer. Maybe not ever. The next year - her seventeenth summer - Cady is determined to return to the place where it all began, and to figure out the truth behind her accident. Her mother and aunts seem to be hiding a lot more than their drinking and financial issues, and with nothing left to lose, Cady knows she has to get to the bottom of things. But what if the truth is better left unsaid? My Thoughts: My initial reaction after finishing this novel included a lot of colourful swearing and some staring at the ceiling trying to work it all out in my head. 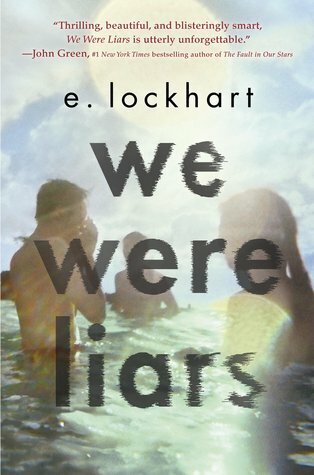 E. Lockheart takes you on an incredible ride with We Were Liars - I was so immersed in Cady's world that it was hard to come up for air. I loved the writing. I haven't read anything of E. Lockheart's since The Boyfriend List, but I'll definitely be picking up more of her novels as soon as I can. The mixture of contemporary writing and almost-prose really added to the atmosphere of the novel. The mystery element was wonderfully done, and I loved every minute of it. The plot was slow to develop in the best way possible, and I couldn't help but get some Shutter Island / And Then There Were None vibes. I think fans of those novels will really enjoy this standalone from E. Lockheart. Final Thoughts: I recommend this novel to anyone looking for a great contemporary YA mystery with a twist. Summary (from Goodreads): A collection of short stories by Cassandra Clare, Maureen Johnson, and Sarah Rees Brennan. Includes Vampires, Scones and Edmund Herondale; The Rise and Fall of the Hotel Dumort; Saving Raphael Santiago, What To Buy The Shadowhunter Who Has Everything (And Who You’re Not Officially Dating Anyway) and more. 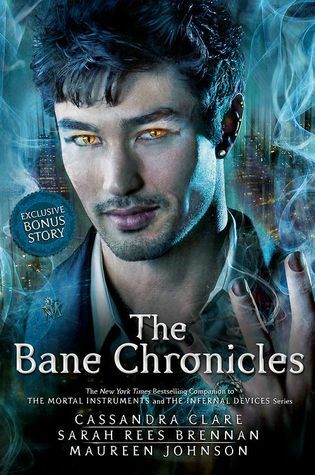 My Summary: If you've ever wondered about Magnus Bane, then this is the book for you. Written by three of the funniest women in YA, this collection of short stories chronicles the colourful life of Magnus Bane before the Shadowhunters. My Thoughts: I don't think I've ever laughed as hard as I did while reading this amazing collection of hilarious short stories. Since the very beginning of my obsession with Cassandra Clare's Shadowhunters, Magnus Bane has been one of my favourite characters. I was always a little frustrated about the lack of back-story we're given about Magnus, so the second I heard these stories were going to be released, I was giddy. If you've ever read anything by Cassandra Clare, Maureen Johnson, or Sarah Rees Brennan, you know that every sentence any of them writes is bound to make you laugh and cry at the same time. Needless to say, I spent the entire novel in a fit of laughter. I'm so glad we got to see more of Magnus, and I definitely can't wait for The Dark Artifices! Final Thoughts: I recommend this novel to fans of Cassandra Clare's The Infernal Devices trilogy and The Mortal Instruments series. Summary (from Goodreads): Do you smell smoke? Young apprentice Lemony Snicket is investigating a case of arson but soon finds himself enveloped in the ever-increasing mystery that haunts the town of Stain'd-by-the-Sea. Who is setting the fires? What secrets are hidden in the Department of Education? Why are so many schoolchildren in danger? Is it all the work of the notorious villain Hangfire? How could you even ask that? What kind of education have you had? Lemony Snicket never fails to impress. Within the span of a few minutes - less than three pages in - I was hooked. I didn't put the book down until I'd finished a few hours later, and I can't wait to re-read it. Lemony Snicket is one of those rare authors whose writing will never stop captivating me. It's been more than ten years since I read my first Lemony Snicket novel (The Bad Beginning) and I'm happy to report that these books followed me all through grade school, high school, and now university. Readers of all ages will be pulled into Lemony's world, and they'll never look back. 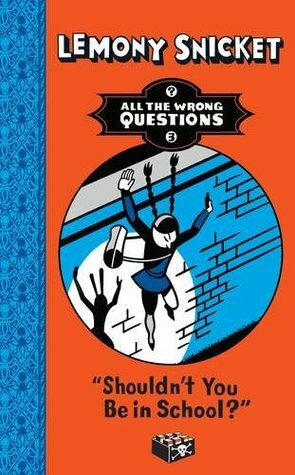 I recommend this series - as well as Lemony Snicket's other series - to anyone looking for a great read. If you love books and mysteries and words in general, this is the series for you.